Summer is just around the corner! Time for some rest. But just because school is out, doesn't mean that learning needs to stop entirely. Let's help make this one the smartest summer yet! There's no way around it. Just like when you were younger, your children will need to study. Give them their best chance at success with these expert study skills tips from Kumon. Natalie Wilson from Musical Advisors tells us how playing a musical instrument can enhance your child's development. Meet Darshil. At first glance, he may appear to be just a regular 8-year-old boy. There’s one key difference though - Darshil has better math skills than most full-grown adults. 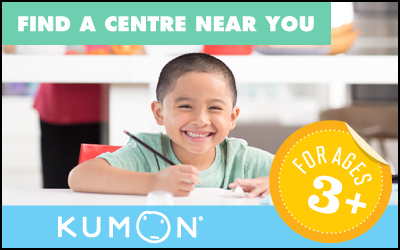 We believe all our Kumon students are headed towards success, but these success stories are sure to impress!